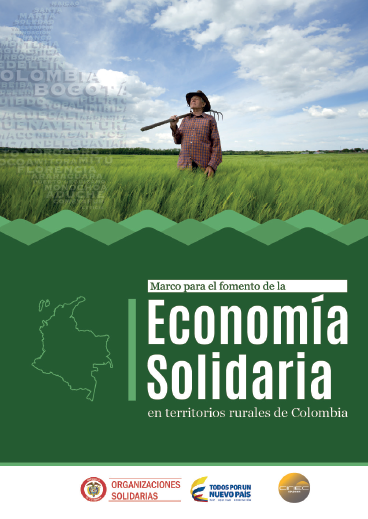 The Corporación CIRIEC-Colombia is a non-profit association member of the International Centre of Research and Information on Public, Social and Cooperative Economy created in 1947 as a non-governmental organization and based in Liège (Belgium). CIRIEC-Colombia aims to build and develop a social economy sector, promoting the general interest based on a set of principles like democracy, participation, equity and equality as well as human centered and aiming at the preservation of sustainable collective resources. a) Scientific researches: production and dissemination of knowledge in the fields of Public, Social and Cooperative Economy, participation in international research groups set up by CIRIEC International. b) Technical and Institutional Support Projects: contribution to sustainable development of communities and regions, as well as of Public, Social and Cooperative organizations. c) Contact and institutional exchanges: developped with several research groups and networks, both at the national and international levels in order to promote or carry out common projects. d) Scientific events: organization of discussion groups and regular meetings, as well as seminars and national and regional conferences to promote debates and analyses according to the Corporación’s own objectives. e) Publications: participation in the journal Revista Cooperativismo y Desarrollo and contribution in the CIRIEC International scientific publications, publication of researches, conferences and other Scientific works. CIRIEC-Colombia offers the newsletter E-Entrevistas in which it shares interviews with leaders in the public, social and cooperative economy sector.